59.95 Three rooms of carpet cleaning pretreat and steam clean (up to 250 sq feet each). Plus hall (up to 100 sq feet). 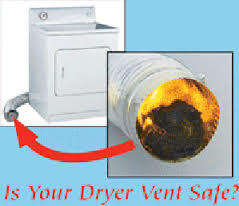 29.95 Up to 20 foot from the back of the standard dryer (additional charges will apply for second story or higher). 1 OF EACH OFFER PER ADDRESS NOT TO COMBINE WITH ANY OTHER OFFER. Breathe-Rite has over 15 years of experience cleaning Carpets, Air Ducts, Dryer Vents, Furnaces, and Upholstery! Call us with questions 314-488-4707.